At Contemporary Dental Health, we believe that you deserve to have a healthy, dazzling smile that reflects your inner beauty and confidence. 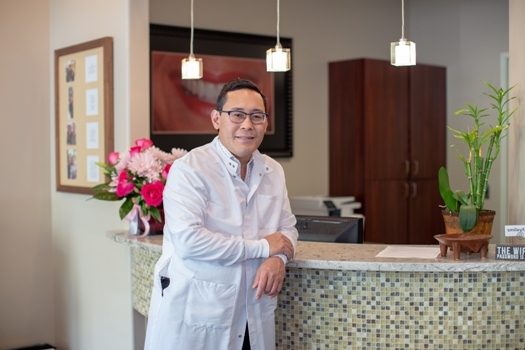 Led by experienced cosmetic and reconstructive dentist Dr. Keith Ogawa, we pride ourselves on providing the highest quality of comprehensive dental care available in a warm and friendly environment. Dr. Ogawa and the dynamic staff at Contemporary Dental Health are passionate about dentistry. We are committed to delivering exceptional patient care and results that are second to none. To learn more about the wide range of dental services we offer, please contact us today online or at 503-636-4069 to schedule an appointment with Dr. Ogawa. Contemporary Dental Health happily welcomes patients from across Oregon, including Lake Oswego, West Linn and Portland. Following graduation from the distinguished Loma Linda Dental School in 1994, Dr. Ogawa began his private practice in Eagle Point, Southern Oregon. There, he refined his techniques in a variety cosmetic and reconstructive dentistry services. As part of his commitment to excellence and ongoing education, Dr. Ogawa pursued advanced postgraduate training from the prestigious Las Vegas Institute for Advanced Dental Studies (LVI). In 2006, Dr. Ogawa earned the rare distinction of becoming an LVI fellow, an honor held by only about 500 dentists in the world. While many patients seek out Dr. Ogawa for his outstanding credentials and world-class results, it is his integrity, personalized-focus and passion for excellence that help to build long-lasting patient relationships. He believes that the best outcomes come from patient education, individualized attention and an uncompromising commitment to quality. Whether you want to transform your smile with porcelain veneers or straighten your teeth with Invisalign, you can trust Dr. Ogawa to meet your needs and exceed your expectations. Why Choose an LVI-Trained Dentist? Dr. Ogawa has further distinguished himself by earning an LVI Fellowship. To be recognized with this distinction, LVI Fellows must complete the institute’s nearly 300-hour core curriculum and pass an exhaustive examination. A hallmark of LVI training is the ability to treat complex oral conditions through the implementation of multiple disciplines of dentistry. Dr. Ogawa is proud to maintain LVI’s standard of excellence at Contemporary Dental Health. No matter which of our services are best suited for your unique situation, Dr. Ogawa will design a customized treatment plan to optimize the health, appearance and functionality of your smile. If you live in or around Lake Oswego, West Linn or Portland, Oregon and would like to learn how Dr. Ogawa can help you achieve optimal oral health and a stunning smile, please contact Contemporary Dental Health today by calling 503-636-4069 or completing the form on this page.